Note that these profiles are taken from the most recent edition of the report, please review additional annual profiles below. There is a single reference for distance education in the Education Act, under the Technology Supported Revolving fund section, that reads “to provide educational courses to all areas of Saskatchewan through the use of distance-education technology.” However, this clause became moot with the devolution of distance education services from the Ministry to individual school divisions in 2009. Presently, the delivery of distance education, online learning, and blended learning in the province is guided by the Saskatchewan Technology in Education Framework (TEF); which outlines the roles and responsibilities of the education sector with regards to the use of technology in education. It contains a number of outcomes and indicators that guide the use of technology in the province in the areas of teaching and learning, administrative operations and infrastructure. In particular, the TEF requires that school divisions ensure distance and online learning opportunities are available to students, that intra- and inter-school division learning opportunities are available to students with local support provided, that distance learners have success rates that are equivalent to students in traditional classroom environments, and that assistive technology and technical support is available to students with intensive needs and/or school personnel supporting them. It should be noted that the Ministry is actively working with their sector partners on provincial definitions for distance education, online learning, and blended learning. Those consultations have not reached a stage where the Ministry is in a position to release these definitions. The Ministry of Education coordinates a centralized online course directory – the Saskatchewan Distance Learning Course Repository. During the 2016-17 school year there were 13 school divisions, one associate school and one independent school listed in the repository. The Ministry only gathers data for students taking online distance education courses that count towards completion of a secondary diploma at the 10, 20, 30 levels (i.e., grades 10 to 12). During the 2016-17 school year, there were 11,440 course enrolments involving 6,946 unique secondary-level students with 7,831credits earned. Further, the Ministry also indicated there were students in kindergarten through grade nine taking courses online through a variety of providers, but the Ministry did not collect data about their involvement. Based on the most recent responses to the annual Individual Program Survey, 13 of the 15 e-learning programs collectively reported approximately 8,500 students engaged in some form of distance and/or online learning. At this time, the Ministry does not track individual blended learning programs in the province. Of those completing the annual Individual Program Survey there were only three that indicated they had a blended learning program. Based on only those three responses, there were at least 1700 students formally engaged in blended learning. The Ministry is able to report that all 28 school divisions are implementing the TEF and are working to ensure students have access to the tools they require to succeed in school, including access to technology. Within school divisions, teachers have the choice to deliver instruction using a variety of teaching methods, including blended learning, to best meet the needs of their students. Many school divisions are currently building blended learning modules and resources to support teachers in blending instruction in their classrooms. A history of the Saskatchewan Government Correspondence School, which was established in 1925, can be found in the Encyclopedia of Saskatchewan entry. It is important to note that the copyright date of this publication is 2006, and the correspondence school no longer exists. Since 2009, all distance online learning opportunities in both French and English in Saskatchewan have been delivered by school divisions and other accredited service providers such as independent schools and colleges. In that same year the Ministry closed the Technology Supported Learning Unit, which was responsible for the delivery of English distance education courses and the Ministry-run French Immersion Distance Education School, eCOLE. Online distance education schools have been in operation in Saskatchewan since 1999 when the Saskatoon Catholic Cyber School first started offering classes online. 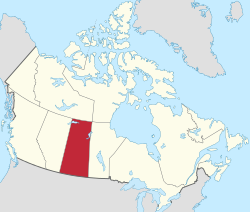 In Northern Saskatchewan, an online school was established by the Keewatin Career Development Corporation in 2001 as part of the “Headwaters Smart Communities Project.” The Northern Lights School division also established an online school to provide learning service to remote students at approximately the same time. The provincial online hub that lists distance education course options for Saskatchewan students is being redesigned by participating sector partners to better reflect the current status of online distance course options for students. * This data is for a blended program only. It does not include the online program. Should a student in Saskatchewan enroll in an online course from another province or country the credits would be assessed for equivalency. If there was an equivalency with a Saskatchewan course, the student would be given a Standing Granted credit on their Saskatchewan Transcript for the purpose of enabling completion of Grade 12, but no mark would be given. The specific content of the course is not examined as part of this process. The Standing Granted designation is only given for courses that have been completed and successfully passed. The Credit-Transfer-Guide outlines equivalencies that have been recognized for courses in other Canadian jurisdictions. It is ministry policy that Saskatchewan schools are not permitted to offer distance courses to students outside the province except in specific situations. Those situations would include where the student has lived in Saskatchewan but is now temporarily out of the province; those students would be able to register for distance courses while they are away.